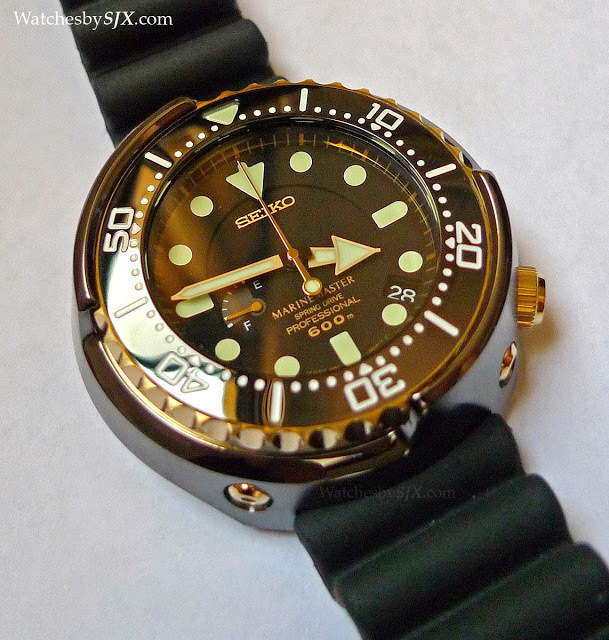 The first Seiko “Tuna” to be equipped with a Spring Drive movement, the SBDB008 the most sophisticated model of Seiko’s trademark “Tuna” dive watches. 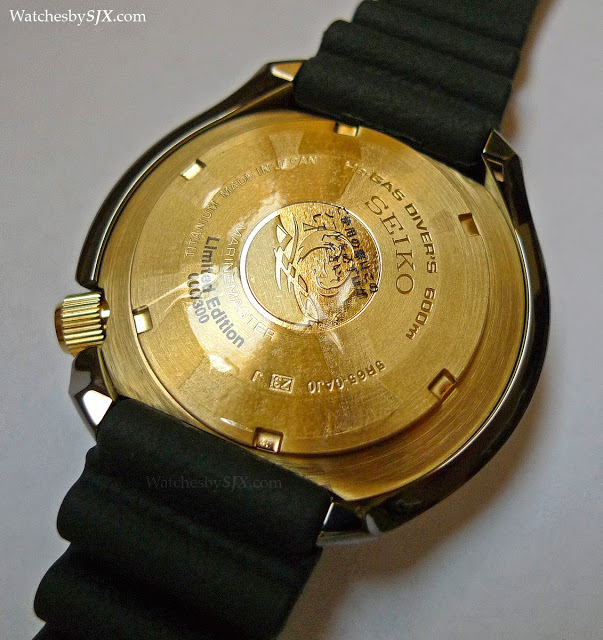 Seiko’s best known range of sports watches are distinguished by their outer cases, secured onto the inner case with four screws, resulting in a tuna can-like shape, which gave rise to the “Tuna” nickname. It began with the automatic Professional 600 m ref. 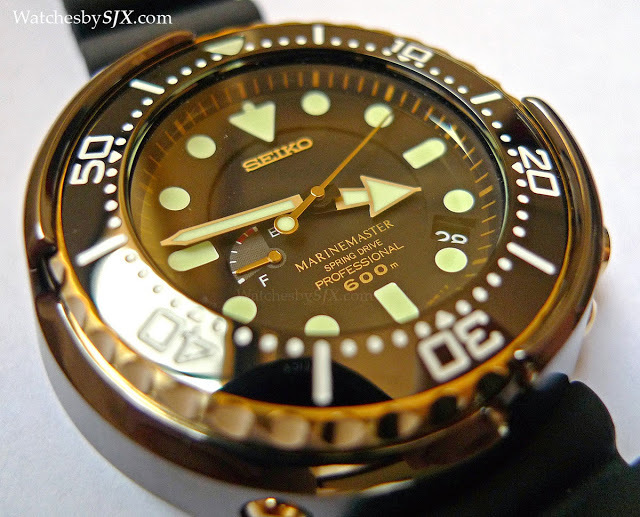 6159-7010 of 1975, designed by Seiko engineer Ikuo Tokunaga for saturation divers. That was followed by numerous subsequent models with both mechanical and quartz movements. The latest, and greatest, evolution of the Tuna is the Prospex Spring Drive 600 m SBDB008. The SBDB08 is the first Tuna with a Spring Drive movement, in this case the cal. 5R65 with power reserve indicator. 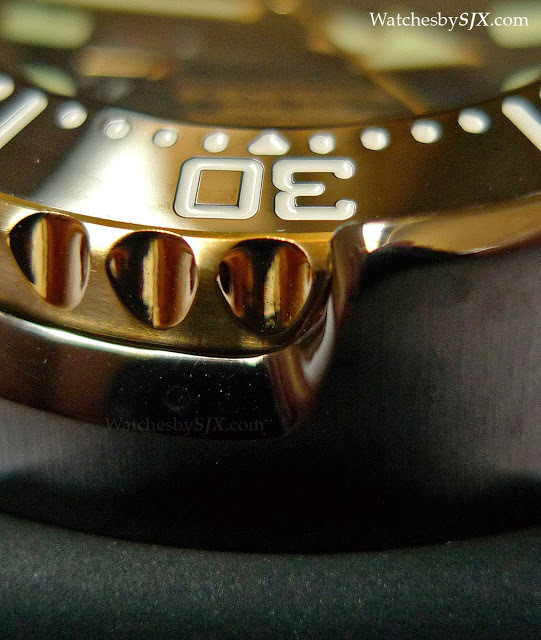 Despite looking similar to its Tuna cousins, the SBDB008 has several notable construction features which are distinct. The most obvious is the outer case, or shroud. 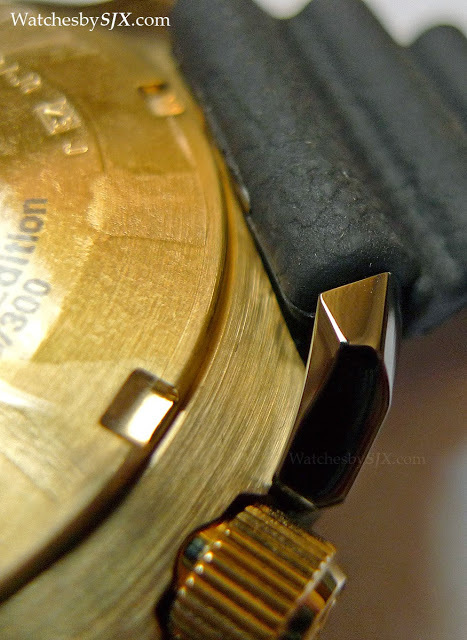 Originally conceived as an extra level of protection for the inner case, to shield it from knocks during dives, the shroud has become one of the strongest design elements of any Seiko wristwatch. 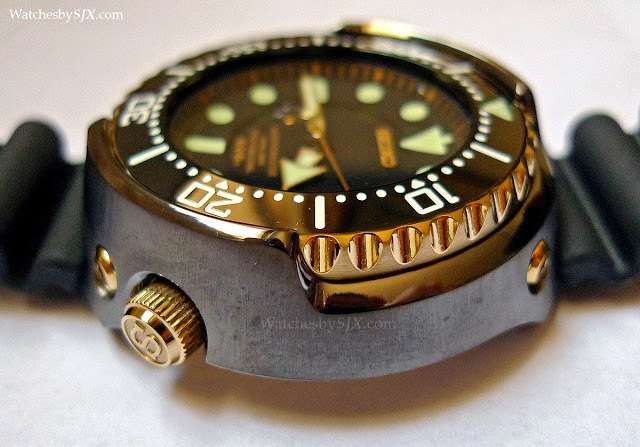 Unlike many of the other Tuna watches, especially its bigger brother, the Prospex 1000 m SBDX011 diver which has a ceramic shroud, the SBDB008 has a DLC coated titanium shroud. The coating is not black, rather it’s a dark grey. And more importantly, it has no lugs. Instead, the strap attached directly to the shroud. 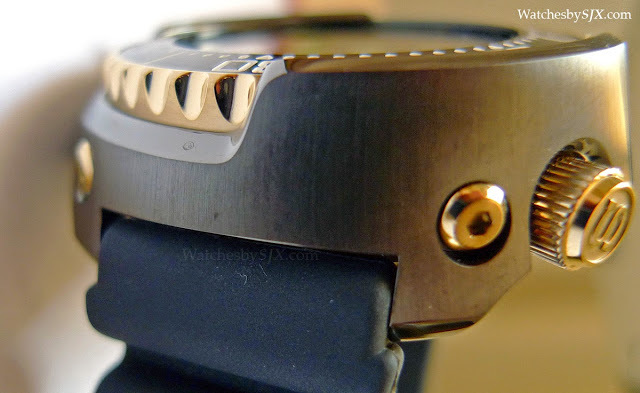 That is the primary reason why despite its 50.5 mm diameter, it sits well on the wrist. 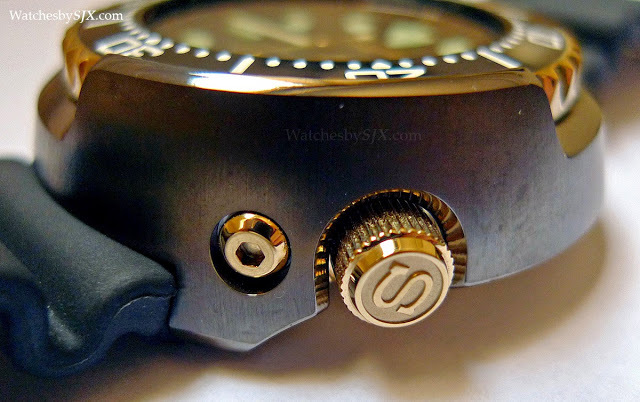 In addition, the SBDB008 has a screw back to access the movement, while most other Tuna watches have one-piece cases. 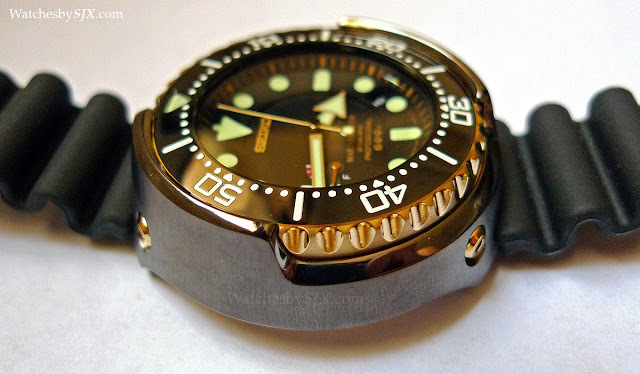 Like the other Tuna dive watches, the SBDB008 is suitable for saturation diving and does not have a helium release valve. Instead its case construction and L-shaped gaskets prevent helium from entering the case in the first place. 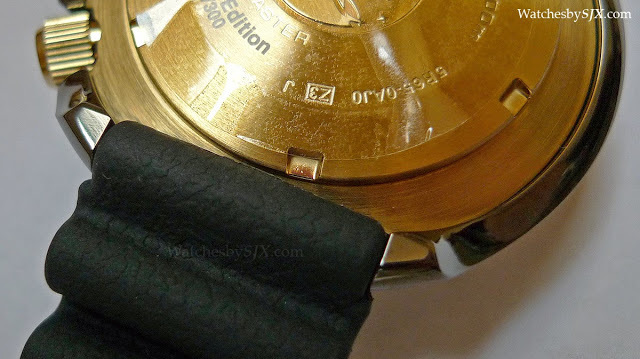 Case construction aside, the SBDB008 is also distinguished by the high level of finish on the case. 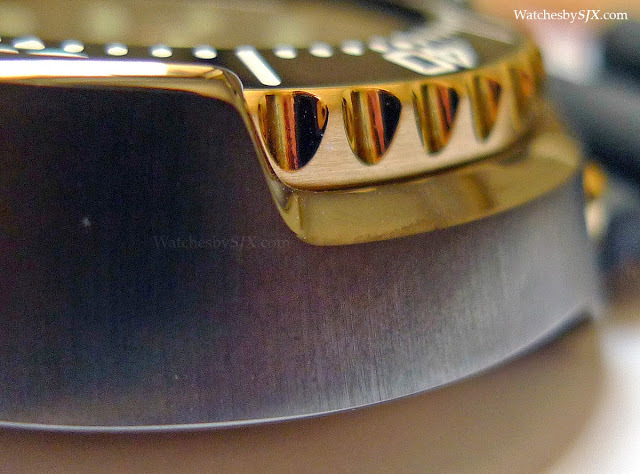 Overall, but especially visible on the shroud, the SBDB008 displays a finer quality of finish. The shroud has a vertical brushed finish on the side, and a polished bevel on the top edge. The gold-rimmed bezel has a glossy black ceramic insert. 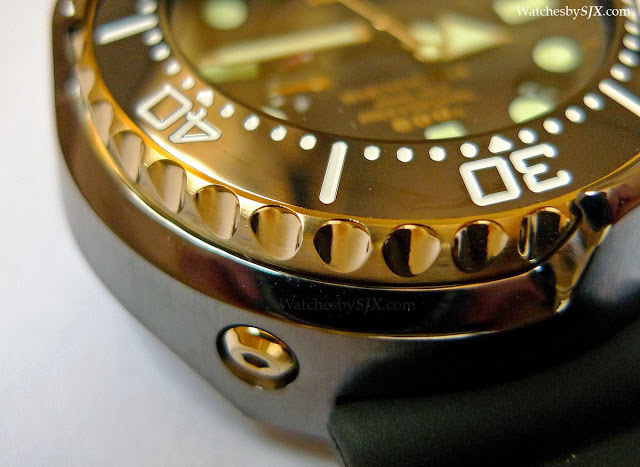 Along with the shroud and gold accents, this gives the SBDB008 a glossy, lustrous appearance. This is in stark contrast to the 1000 m Tuna which is matte, dark and almost ominous. A remake of the 1967 44GS, created in a limited edition to mark Seiko's centenary, the Grand Seiko SBGW047 has an incredibly well crafted case, possibly the best of Grand Seiko.